Marineland is a park that’s steeped in controversy — a young beluga has wasted away and died, and a walrus has appeared emaciated and sickly during performances. The ocean-themed amusement park, which is based in Ontario, Canada, has also been cited for numerous counts of animal cruelty for its mistreatment of land animals, including birds, bears, deer and bison. And now, animal welfare advocates have even more to worry about. Over the past 12 months, several animals have died, including a beluga and a walrus, according to Phil Demers, a former senior marine mammal trainer at Marineland — yet the park hasn’t uttered a word about these deaths. Demers, who’s spent the last six years in a legal battle with Marineland over its mistreatment of animals, told The Dodo that he learned about these deaths from a current Marineland employee. Two belugas missing from the list were Burnaby and Horus. Demers has recently received confirmation that Burnaby recently died, although the park never announced it. 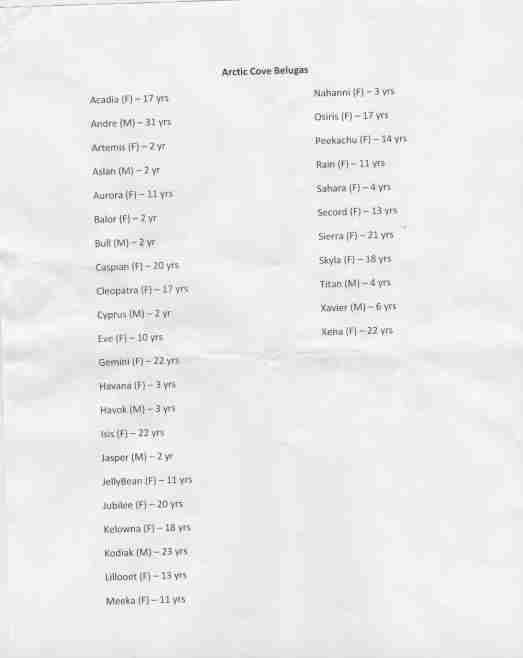 While it isn’t clear if Horus is still alive, Demers believes his absence from the list is very telling. Demers also received word that a walrus named Buttercup died over the winter, shortly after another walrus named Sonja died. While the park announced Sonja’s death, it kept Buttercup’s quiet. 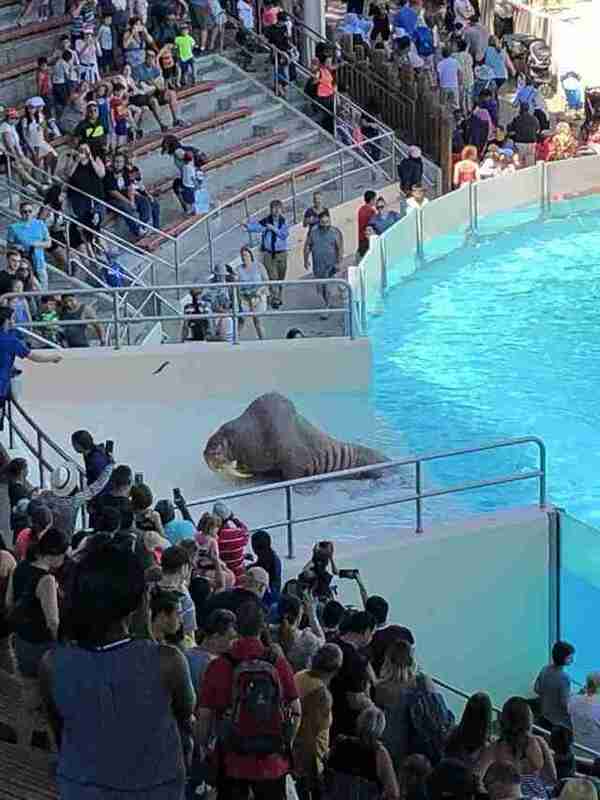 One of the remaining walruses is Zeus, who appeared emaciated and sick during a 2016 performance at Marineland, and looked like he was going to collapse. A more recent photo of Zeus shows him looking even skinnier than before. “Zeus looks worse than ever, and he’s always been terrible,” Demers said. Demers is also extremely worried about Smooshi, a walrus with a history of chronic regurgitation issues, a sign of captive stress, which caused her to lose a lot of weight. 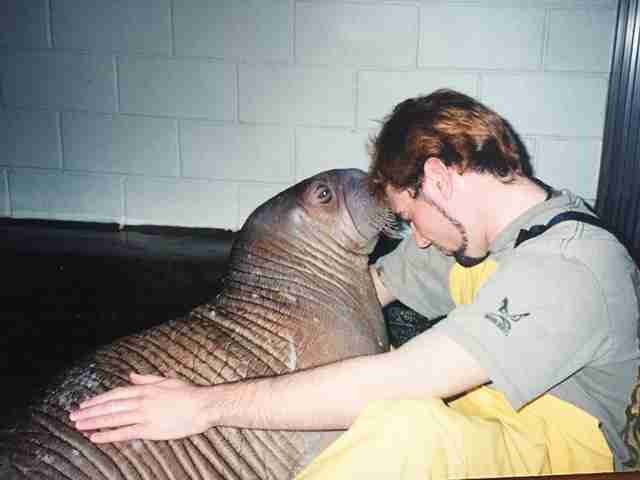 When he still worked at the park, Demers had formed an unusually close bond with Smooshi during a stressful situation — an employee was drawing blood from another walrus, and Smooshi tried to intervene. 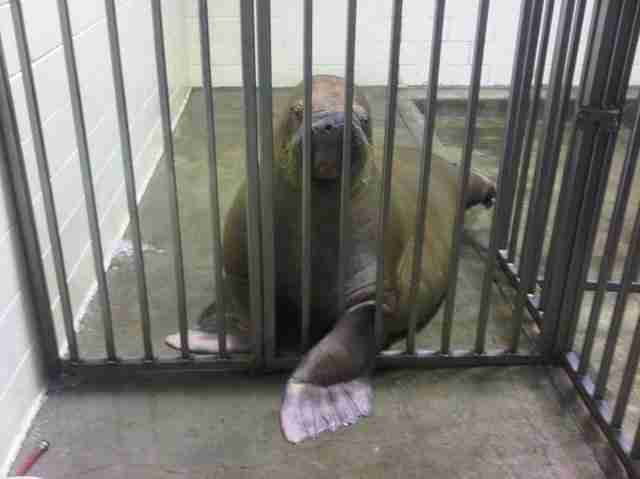 When Demers resigned from Marineland in 2012, he tried to make arrangements with the park to continue seeing Smooshi. However, the park stopped allowing Demers onto its premises, and Demers believes Smooshi’s health has declined since their separation. While Smooshi has made an occasional appearance at the park, she usually remains hidden from public view. Demers isn’t exactly sure what killed Sonja and Buttercup, although Marineland claimed that Sonja died from a rare abdominal aneurysm. 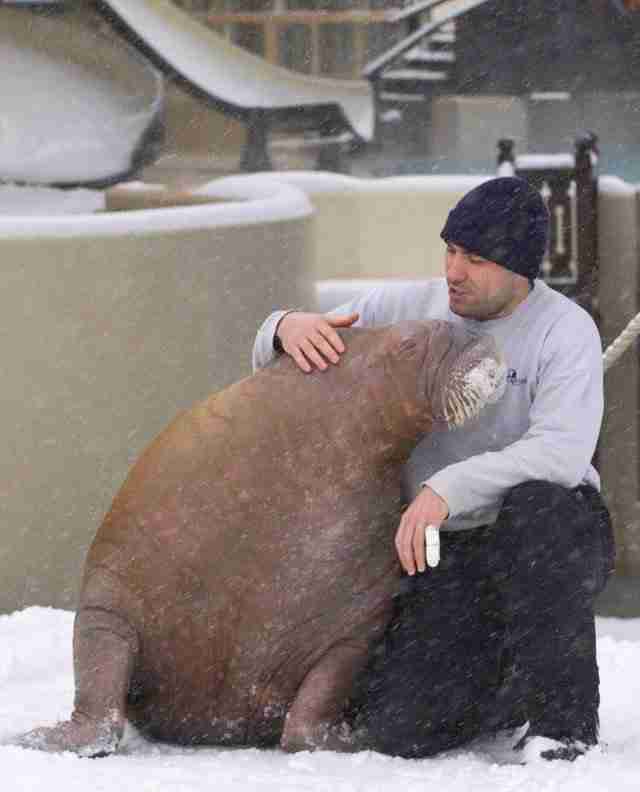 However, he’s certain that Smooshi is at great risk right now. He ultimately hopes that Marineland will turn Smooshi over to him, so he can place her in a legitimate marine sanctuary. 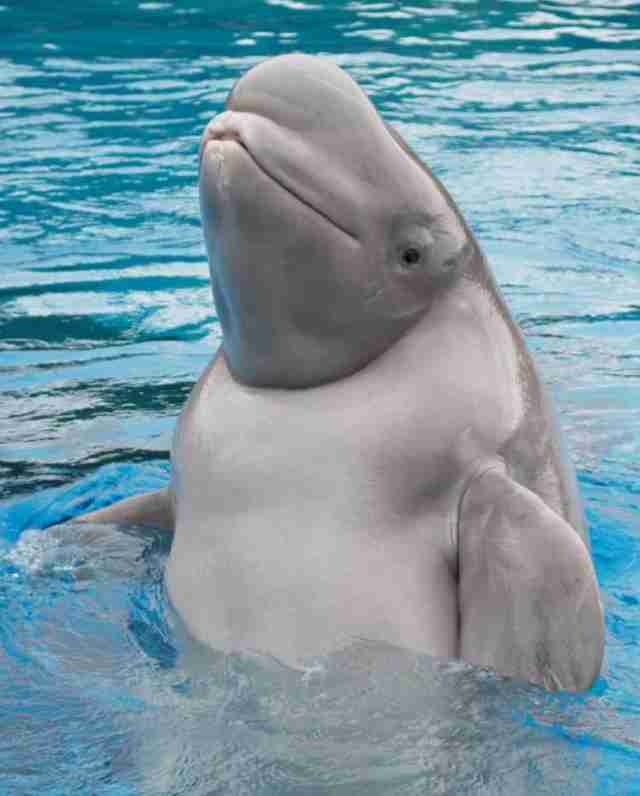 Marineland did not immediately respond to The Dodo's request for comment. To help the animals at Marineland, you can support Demers’ court case against the park by making a donation.